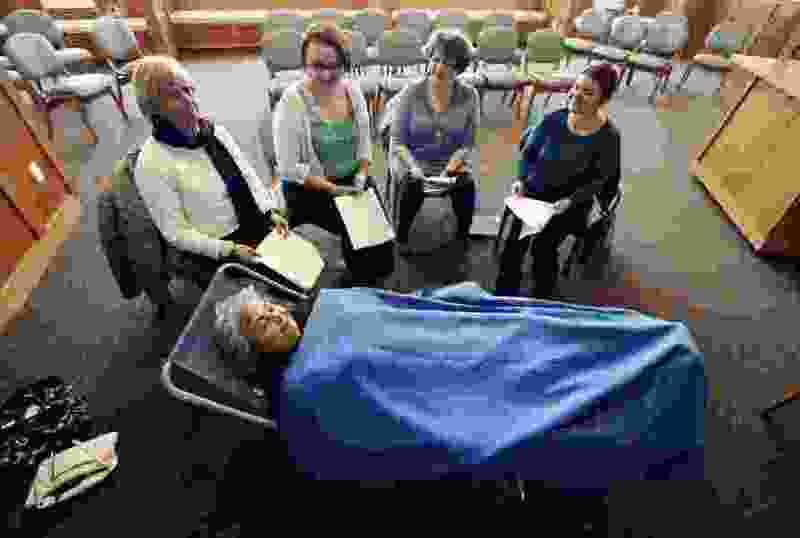 (Meagan Thompson | Montana Standard via AP) Choir member Anna Dockter reclines in a chair as other members of Montana's only Threshold Choir chapter sing to her during their weekly practice at Big Sky Senior Living in Butte, Mont. Butte, Mont. • On a recent morning in the Big Sky Senior Living facility’s upstairs chapel, Easter Seals-Goodwill Highlands Hospice employee Ana Shaw asked the four women beside her to close their eyes. Shaw said she was first inspired to start a Butte Threshold Choir in 2016 when she watched a PBS special on the unique choir organization, the Montana Standard reported. Shaw said she had just started working for Highlands Hospice at the time and was captivated by the Threshold Choir mission.